Innovation is one of our core values at the University of Arizona Press. This means tackling some of the toughest problems in scholarly publishing, be it alone, with our colleagues at the University of Arizona Libraries, or with colleagues around the world. No problem is tougher than finding business models that maintain the high standards of monograph publishing that are the hallmark of university presses while increasing access to content. The average cost of publishing a high-quality digital-only monograph ranges from $28,747 to $39,892, depending on what is included in the calculation, according to research published in The Costs of Publishing Monographs. How can we cover these costs while reducing or even eliminating costs for readers? 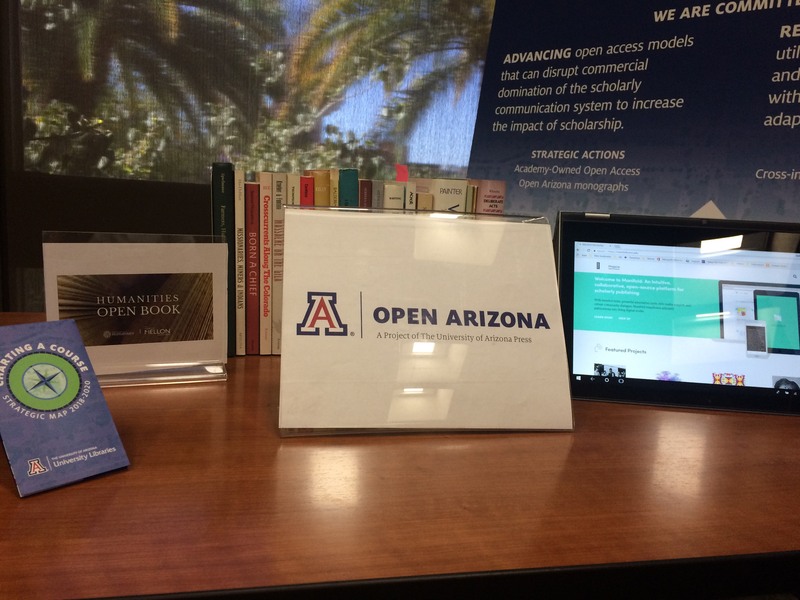 The University of Arizona Press is committed to improving access. We seek external funding for every book we publish to keep prices as reasonable as we can, and up to two thirds of the books we publish each year receive some form of external support. Meanwhile, with the generous support of the Andrew W. Mellon Foundation we are building a platform for open monograph publishing at the University of Arizona. Under the Open Arizona project, we will make some two dozen currently out-of-print Latinx and Indigenous studies titles available as free ebooks as part of the larger Humanities Open Book Program, jointly sponsored by the National Endowment for the Humanities and the Andrew W. Mellon Foundation. The project will not only allow us to make previously inaccessible content available for free, it allows us to experiment with and refine new workflows for open-access publishing. We are also proud to be participating in the fifth pledging round of Knowledge Unlatched (KU). Knowledge Unlatched is a global crowdfunding initiative supported by more than 500 libraries. Its aim is to make Open Access for books and journals sustainable in all disciplines of science and research. It helps libraries to shift their budgets from traditional acquisition patterns to supporting OA on a larger scale. Six press titles have been chosen for KU Select 2018. Libraries can pledge their support for Knowledge Unlatched and the University of Arizona Press’s titles between now and the end of November 2018 at the KU Select site. 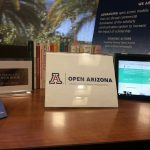 Look for more information about Open Arizona this fall. Together, these are just some of the innovations we’re making to continue to connect scholarship and creative expression to readers worldwide.